Exeter College is a large, thriving and growing tertiary college which places teaching, learning and student success as the top priority. It enjoys an excellent regional reputation. 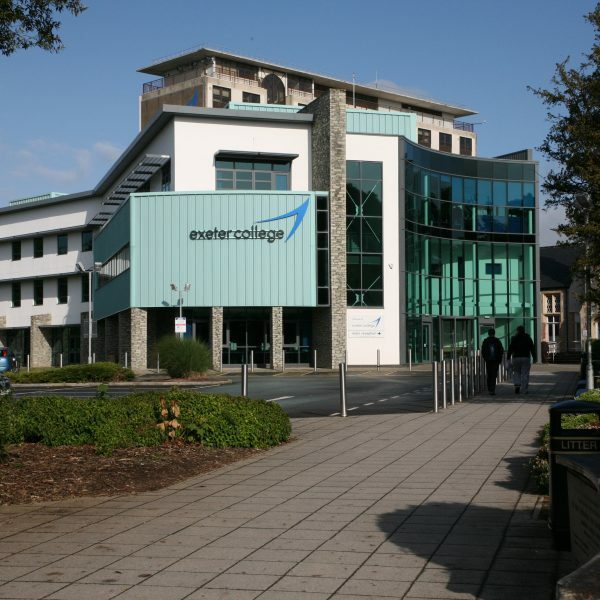 The College provides tertiary education for around 10,000 – 12,000 students and was established in 1970 as the first tertiary college in the UK, bringing together the former grammar schools’ sixth forms and Exeter Technical College. It has twice been judged as outstanding by Ofsted, and was awarded the Times Educational Supplement ‘Outstanding Provider of the Year in 2012 and BTEC College of the Year in 2014. 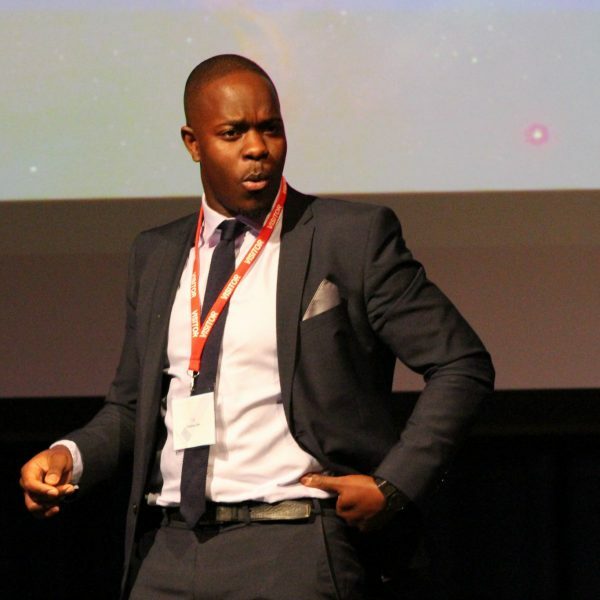 Exeter College has high expectations of their students and staff. Each year their combined efforts result in excellent exam grades, outstanding training successes and brilliant music, art, sports and community achievements. As a successful tertiary college they now offer a wide range of courses and students can choose those that reflect their individual ability, aspiration and interest. over 30 university-level courses, including Foundation Degrees, in partnership with the University of Plymouth, University of Exeter, Plymouth Marjon University and Kingston University. The college continues to serve the city of Exeter but also attracts students from across Devon with over 66% of our 16 – 18 learners coming from across Devon and the South West. 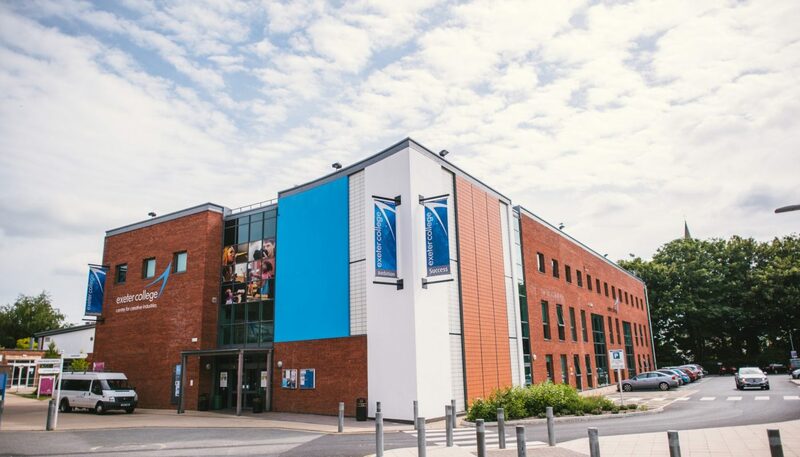 The college boasts a number of specialist academies providing training for sports, enterprise, journalism, music, academically gifted and hospitality and catering students. It has developed very strong employer links through the curriculum and through Business Solutions, the college’s dedicated employer engagement team. The college facilities are based either in the city centre or in two specialist training centres on the outskirts of Exeter. The college continues to invest in an ambitious property strategy to answer the growing demands of their students, which has seen in the last ten years. 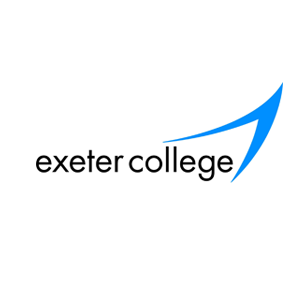 Click here to find out more about Exeter College’s recent developments.